An aircraft crewman mans a machine gun. Poster Text: YOU CAN'T AFFORD / TO MISS EITHER! 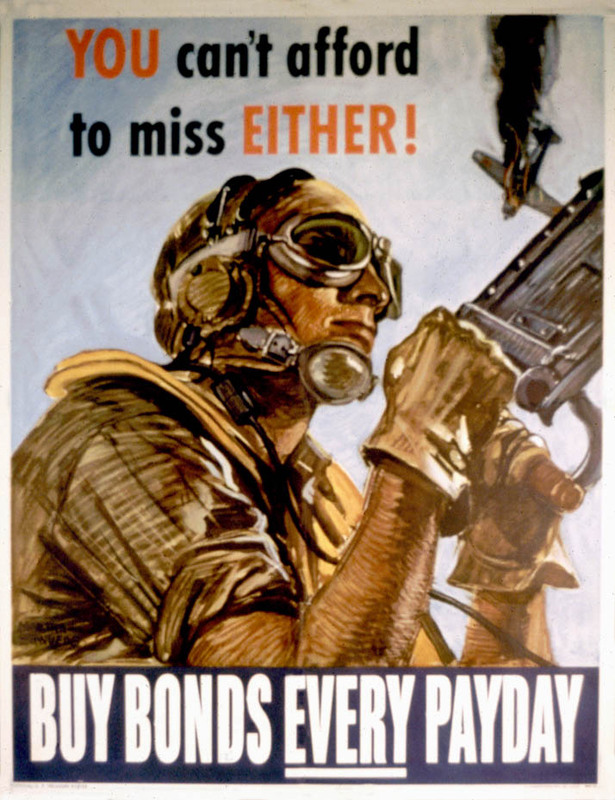 / BUY BONDS EVERY PAYDAY.